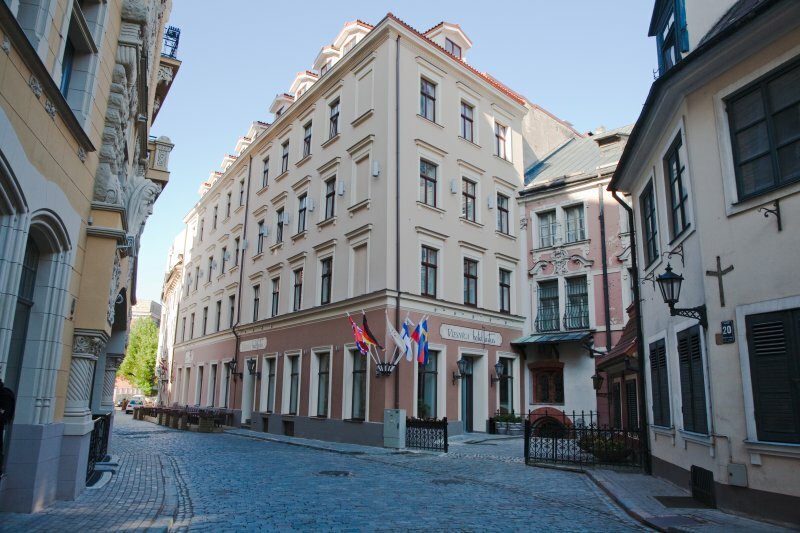 Just a few steps from Riga’s famous Dome Cathedral, in an area rich with architectural detail and protected by UNESCO as a part of its list of world heritage, is a 4-star boutique hotel, the Hotel Justus. This evocative historical building has been immaculately restored, and today the authentic façade conceals 45 cozy rooms and suites, each thoughtfully designed to embrace the charm of original interior brickwork combined with tastefully chosen antique and contemporary furniture. The site of the hotel is significant, as it was part of a plot selected by Bishop Albert for the location of his Baltic residence back in 1210. Today, the building on this spot, which is located on one of Old Riga’s loveliest cobblestone lanes, dates back to the 18th century. The façade of the hotel underwent its last major alteration in 1874. Hosting a tavern in the early 19th century, the building has since housed a printing business, artisans’ workshops, pharmaceutical laboratories and, most recently, a cinema. The unique historical atmosphere found in this area made it a favorite shooting location for Soviet moviemakers, who made the street famous with key scenes in the series “Sherlock Holmes” and the spy drama “17 Moments of Spring”. A delightfully rustic ambiance pervades the Hotel Justus restaurant, Aleks, which is open to everybody, not only the hotel’s guests. It stretches along the ground floor of the building, and in summer tables spill out onto the peaceful cobblestone street. The Art Nouveau architecture along the lane provides plenty to look at beneath the Old Town spires.